Check out Tobi's Look At Me Now Wide Leg Pants Can't wait for your next vacay? 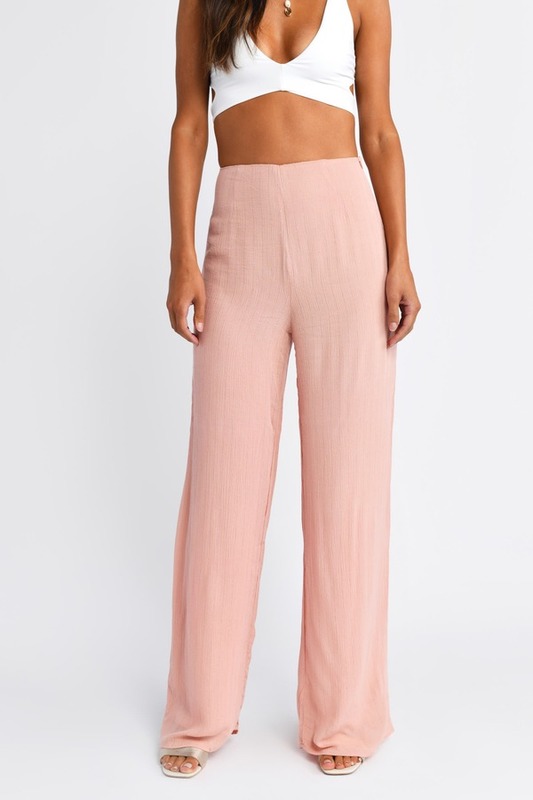 Channel that feeling right now with these Blush Look At Me Now Wide Leg Pants in crinkle rayon. These flowy pants are perfect with a tie front top for chilled-out evenings and they pack beautifully thanks to the crinkle texture. Just saying. Can't wait for your next vacay? Channel that feeling right now with these Blush Look At Me Now Wide Leg Pants in crinkle rayon. These flowy pants are perfect with a tie front top for chilled-out evenings and they pack beautifully thanks to the crinkle texture. Just saying. Can't wait for your next vacay? Channel that feeling right now with these White Look At Me Now Wide Leg Pants in crinkle rayon. These flowy pants are perfect with a tie front top for chilled-out evenings and they pack beautifully thanks to the crinkle texture. Just saying.